Designed for groups who want to combine a general English course with daily art classes which follow a weekly project or theme. Students will visit The National Portrait Gallery in London which holds the biggest collection of portraits in the world. They will make several studies of portraits from kings and queens to contemporary icons such as pop star Ed Sheeran and football hero David Beckham. Back at school, they will be taught how to produce a self-portrait. They will then develop their sketches into a painting of themselves. Students will visit the local Powell-Cotton Museum at Quex Park which has an extraordinary natural history collection. Percy Horace Gordon Powell-Cotton (1866-1940) was a British Explorer and led numerous expeditions to Asia and Africa. He brought animals and cultural items back to England. Students will produce hand sketches of the animals with the assistance of their teacher. Back at the school they will develop their sketches either into a painting or sculpture of an animal of their choice. Students will be taken out in Kent to explore the local area, countryside and beaches. 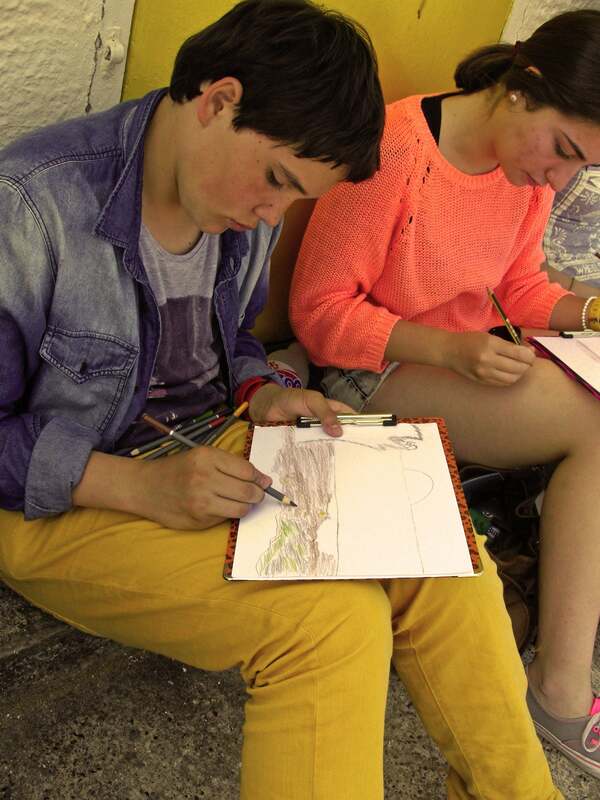 They will produce sketches of a landscape and develop their sketches into a painting back at the school. Pupils will visit the Victoria & Albert Museum in London. They will make sketches from the famous fashion collection. They will produce a piece for artwork in response to their visit. Students will visit The National Gallery in London which has one of the greatest collections of paintings in the world. Here they will have the opportunity to see famous masterpieces such as Van Gogh's Sunflowers, Sandro Botticelli's Venus and Mars, and Monet's The Water Lily Pond. With assistance of their art teacher, they will make first hand sketches of various paintings of their choice. Back at the school they will develop one of their sketches into a painting.